And I’m normally a silver/black/white/beige hater. This guy also has my dream seats... Imported Jdm Mazdaspeed buckets that were optional on RX7's and maybe (?) 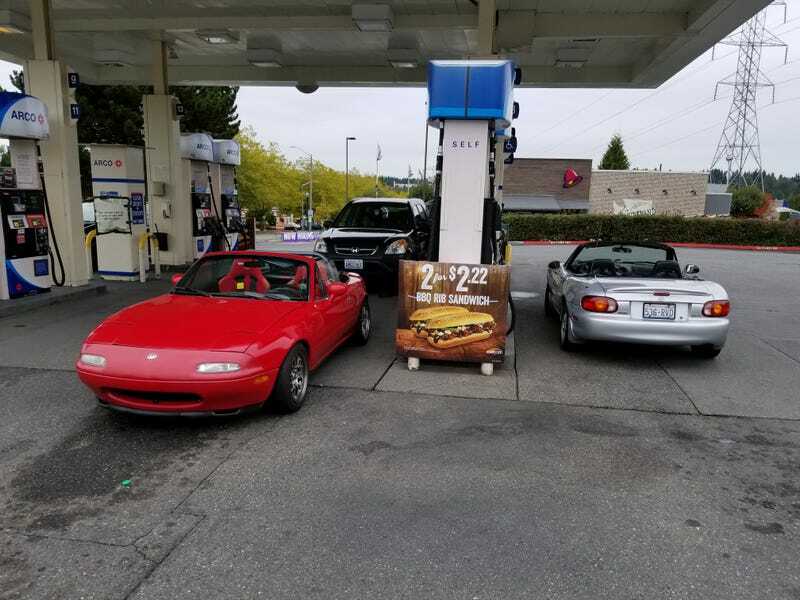 Miatas. Pics inside. Look how clean it is! Full racing beat exhaust from the engine back, the super rare genuine Mazdaspeed seats, upgraded suspension components and built top end. Love. Are these not incredible? I sat in them and they are incredibly comfortable. Somewhat bolstered—nowhere near the level of my Brides—but they would be perfect for daily use. Holes for harnesses as well. There were a few color combos available. I’m partial to... Well. All of them.